• Pay no money until the job is done! 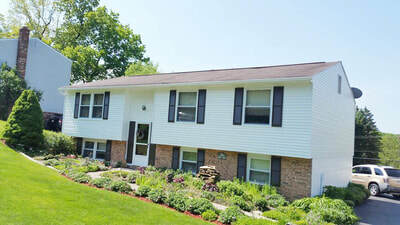 WHY CHOOSE NEW VINYL SIDING? 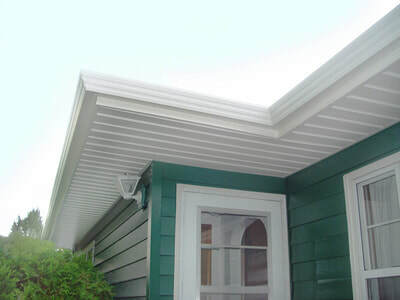 Vinyl siding is a plastic siding for a house or building, used for both aesthetic purposes and weatherproofing. It is the most commonly installed exterior cladding for residential house siding in the US today. It mimics painted wood clapboard or shakes (board and batten), and is used instead of other materials such as fiber cement or aluminum. It is an engineered product that is made primarily of PVC resin, and is available in a wide range of colors. It is durable, sustainable, versatile, and easy to maintain. WHAT BRAND SIDING DO YOU USE? When vinyl siding is exposed to the sun, it will begin to fade over time. However, the rate that colors will fade on vinyl is slower than most other claddings. In the past, darker colors usually faded quicker than lighter colors. But with advancements in the technologies of today's materials, capstock includes approx 10% titanium dioxide, which resists the breakdown of UV light better than ever before. Most manufacturers offer a 50-year warranty that their products will not fade much over those 50 years. We charge $3.00 per sq ft (installed). That includes labor, materials, and a lifetime-warranty. No peeling, no chipping, ever. Pay no money until the job is done! ​WHEN THE TIME COMES for you to make the decision to outfit your house with low maintenance, long-term, beautiful siding options, Clair Boring will be happy to assist you with creating a house you'll love coming home to every day. To schedule your free, no hassle estimate with us, please call 724-282-3831 or email and we’ll call you to schedule at your convenience. Got dirty siding? Is the old finish worn? 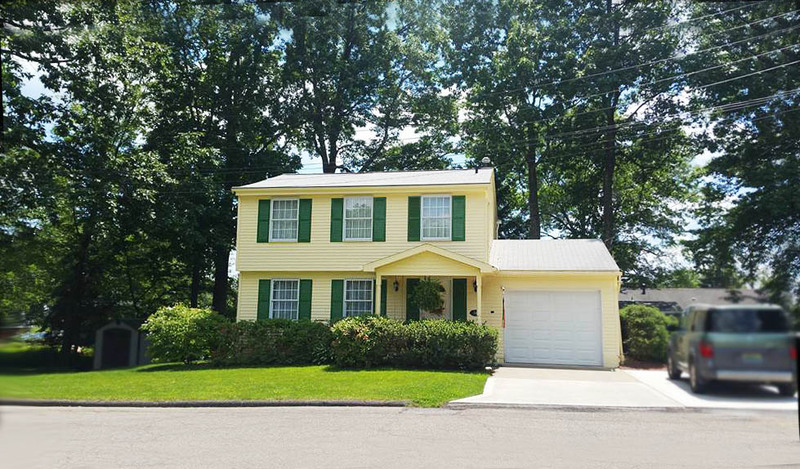 Hate the color siding you have? Clair Boring Painting Services can pressure wash it clean, and then repaint it to make it look like a factory finish. We mask, prep, spray primer, and apply two coats of paint. Pick any one color you like. We'll paint the whole house for $1.35 per sq ft.
Aluminum siding was introduced in the 1940's. Because aluminum siding is not a popular choice of today, we only install vinyl siding. However, we're able to refinish your old aluminum siding to a factory-like finish, change it to any color you'd like, and/or make a repairs to it. Give us a call or email us when you're ready to make that old siding look new again!